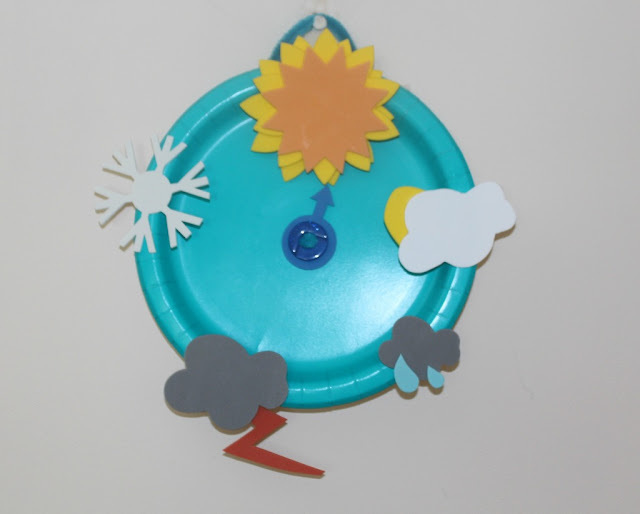 This months Bostik box was filled with weather themed craft supplies. Little man and I decided to make a weather wheel. A simple craft and nice as little man enjoys changing the dial depending on the weather. And at least recently we have been able to point it to the sun a little bit! Start by making a hole in the plate by centering the blu tack in the middle at the bottom and pressing a pencil through. Do the same with either the paper fastener of a button and pipe cleaner. Secure so that the pointer can be moved around. Fix the weather shapes around the paper plate using the wide end of the glu pen. Allow to dry. Attach a pipe cleaner to the back of the plate so that the dial can be hung up. 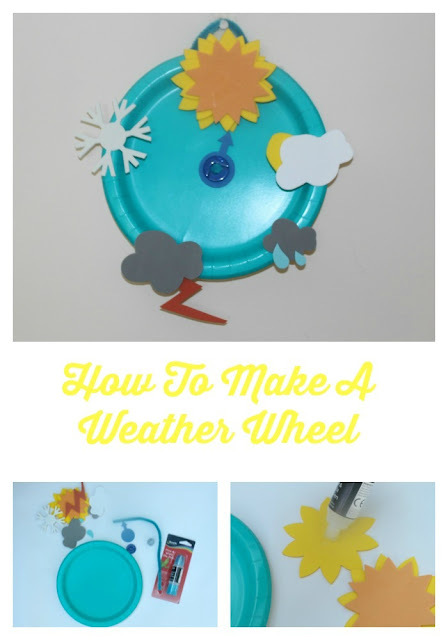 A simple craft to do with a pre schooler and hopefully over the coming months that pointer will be pointing a bit more to the sun than the rain cloud!